I'm just about finished with my "25 Pokemon for Christmas" so I thought I should do a few Black and White Pokemon. 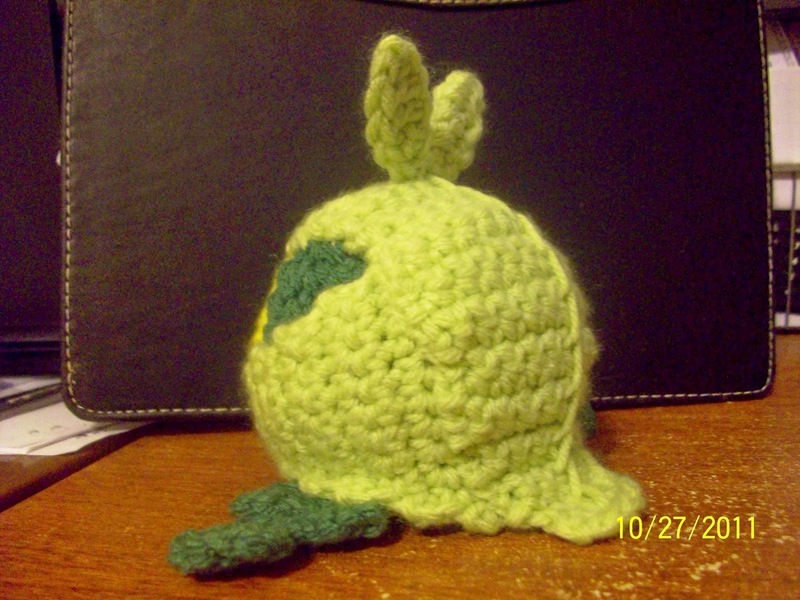 I was flipping thru my son's Pokemon Handbook and I came across this cute little leaf wrapped Pokemon-Swadloon. It was very simple and quick to make. FO Sew to front of body. FO Wrap leave around lower body. The ends of leaves should meet in yellow circle. Secure together. FO Embroider line down center of leave. Arrange leave on top of body. Pointed end of leave (row 1) should lay over the forehead (yellow face) and the rest of leave falls to the back leaving a tail. FO Sew to top of head. Cut out two small eyes from black felt and two pupils from white felt. Sew to face. 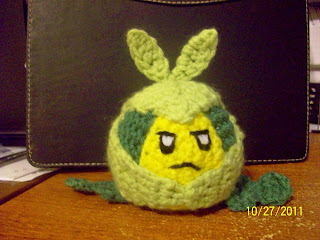 With black yarn add the mouth and eyebrows. 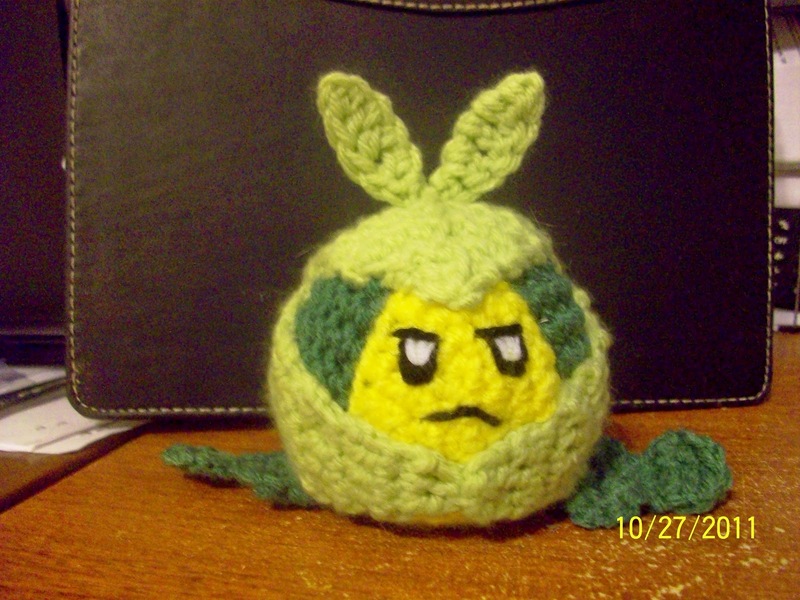 Swadloon and Pokemon are copyrighted by Nintendo.